Glorious data for all of your ideas! Consultants, marketers, women, men, poodles: lend me your eyes, for this is the gift that keeps on giving. Allow me to introduce the Reuters’ Institute Digital News Report, a gem of research, taking a thorough, international approach to data collection on our theme. This one goes out to anyone who, with a deadline looming, has frantically googled ideas to try and come up with credible supporting data. You know who you are, your heart sinks when you see something related from a 2008 Stack Overflow thread, but, in the absence of anything more substantial, it will suffice. You kid yourself that this is professional, that it’s good enough. Who checks sources anyway? Say goodbye to all that, for here is an accessible, detailed, sliceable study that should get you through more or less any data crunch. It also has some interpretation and a series of essays, to further extrapolate on the themes. 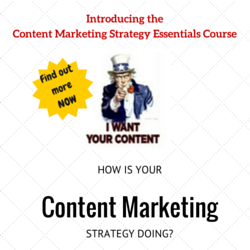 The news industry is particularly useful for content marketers as it is the canary in the coalmine for general content. Given the business model of news production, it is here that we can find more urgent innovation and new products. All we have to do is pay attention to what works and it can help us enormously when plotting our next move. Facebook is where you “bump” into news, Twitter is somewhere you go to find it. However the impressive depth of this study allows for a more nuanced interpretation. Please find below a short summary of the stand-out points, the details that could and should impact how marketing budgets are allocated. The real strength of this report however lies in the detail, so I heartily encourage you to dig in, explore the subjects that are most relevant to you. There is an interactive component too, with some effective data viz tools, which will be useful when pitching your ideas. To the chagrin of purists everywhere, listicles have become an enormously popular format, however not everyone enjoys reading them. For, just as the Japanese, Brazilians and Finns love list-format content (20% on average read content once a week this way), the French and Germans are nonplussed, with only 6% reading list format content on a weekly basis. 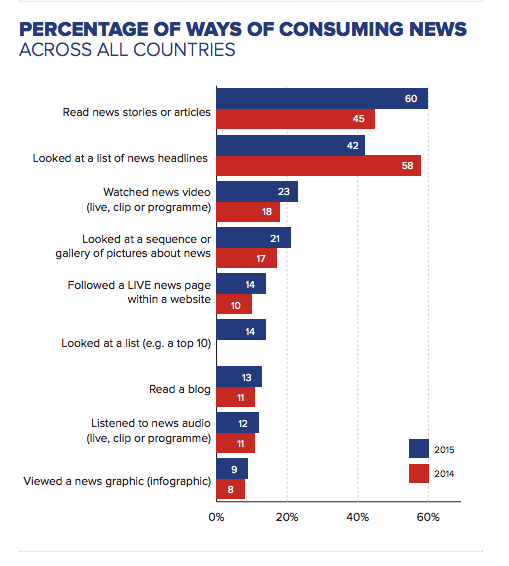 The implications for content marketers in this instance is clear: if you are translating and formatting content for different countries, use the insights in this report to gauge what people like. The report details the growth of video content, an idea with which we are already familiar however there are still some considerable barriers for users to overcome and as such, the format is wasted on them at the present time. For example, of those people surveyed who don’t use video, 40%, said they found simple reading quicker and more convenient, with 19% agreeing with the statement that videos rarely add anything useful to the text. Older groups are two thirds as likely to express a preference for a bigger screen. Younger groups, who expect web applications to respond instantly, are more impatient about load times and about pre roll advertisements getting in the way of content. For any editors out there, fretting about producing video, data like this will be welcome, because for so long, everyone has preached the virtues of video. This report reveals that whilst video is popular and growing, the old-fashioned, cheap (compared to video at any rate) content in article format, itself a carryover from the print era, is still by far the most popular way to consume content. According to this report, image scrolling and live news pages are increasingly popular, but nothing like as established as plain old text-based articles. This is interesting given the emergence of Instagram and Snapchat as social networks that share news stories as it suggests that it is not a huge slice of the market, yet, but it might continue to grow. 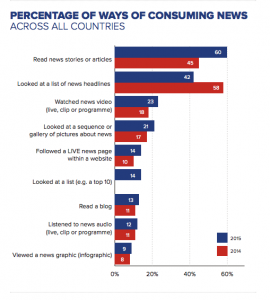 In terms of gateways to news, there is a significant difference in the way men and women across all countries find their news. 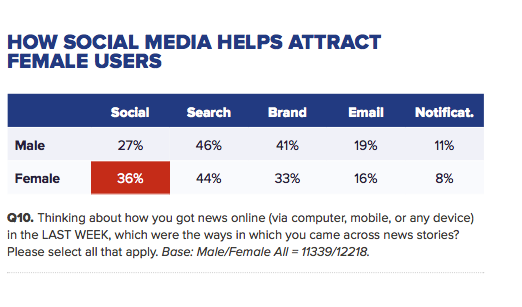 36% of the women polled, versus 27% of men found news stories online via a social network. This detail is interesting because, when promoting branded content for a predominantly female customer group, it suggests that it make sense to prioritise social promotion as the leading component of your marketing plan. Compounding this opportunity is the fact that women appear to be less brand-driven when it comes to finding news meaning, in theory, a social promotion from a new company is more likely to be seen by women than by men, which is great news if women are your likely future consumers. Rumours of Facebook’s demise have been greatly exaggerated. A few years ago there was a lot of chat about the increasing average age of Facebook users, the fact that teenagers were no longer using Facebook, etc. Despite it’s enormous global reach, opting out of Facebook was a micro-trend. Until now, wherein Facebook has successfully evolved into a news distribution platform, making it now a major player in how people find, read, and distribute news online. 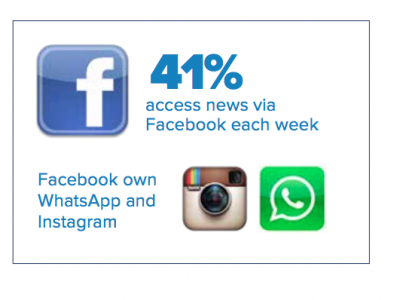 41% of users access news via the social network each week – this has grown 6% from 2014. Publishers, whilst thrilled with the new traffic, are skittish of relying on an algorithm for so much of it’s growth, however in my mind this is simply a familiar beast in a new coat, as before Facebook, publishers were wary of Google’s algorithm and power. At least at this point the publishers know that Facebook is actively trying to court publishers and their reliance on algorithms is now split between two (at least) companies rather than just one. This is a brief summary of the more obvious talking points, but there is lots more to discover, including the uses of email and email notifications as a growing channel, the role of TV in finding news and more. This study gives you reliable data, data produced without an associated marketing agenda, which is the best way to stay honest. Read the full report here or you can watch the video summarising the report in 100 seconds. Take a look, see what you find and I would love to know how it influences or changes your thinking – please let me know in the comments below. 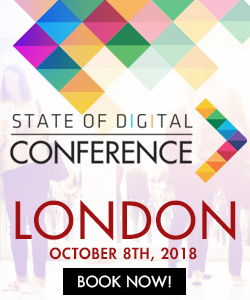 Sarah Kershaw is a digital marketing consultant and writer based in New York City, working with an array of clients to optimise their digital footprint. She is interested in the mysteries of the intuitive user experience and the power of words.